Enjoy your journey; in all conditions. Superior all-weather interior protection which fits your life - and your car - perfectly. Take on the great outdoors; return to the ultimate welcome mat. Tough yet tactile. Repels water and mud. Traps gravel and dirt. The ‘go-anywhere’ upgrade which keeps the dirt on your tires; not in your car. Innovative non-slip, tire-tread design features lipped edges to catch spills. Protects your vehicle's floor from dirty boots! Go on that muddy springtime hike. Let that sand get in between your toes. With Travall Mats, any mess you track into the car will be contained. Some spills can’t be avoided while driving and our Mats help protect your floor upholstery from damage. If you want to avoid an expensive repair, Travall Mats are a cost-effective solution to cover up existing damage and prevent future damage from occurring. Travall Mats are flexible for convenient removal, so when it’s time to clean out the car, all you have to do is take them out, wash them off, and back in they go. Cut down on all that tedious vacuuming! Buy once… and that’s it! Count on years, if not decades, of use out of your Travall Mats thanks to durable fade- and crack-resistant rubber material. 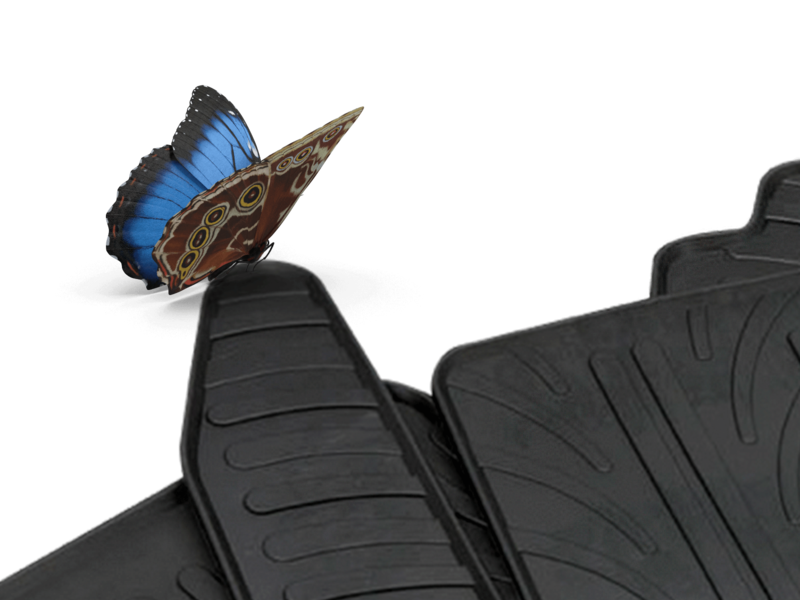 Travall Mats simply slide into place without any cutting, trimming, or alteration to your vehicle. Dirt and sand are one thing, but what about those times when a cup of coffee spills all over the floor? Thanks to the raised lip around the entire perimeter or Travall Mats, liquids and other messes are contained. We did the hard work for you during the design process. You don’t even have to measure your vehicle’s floor dimensions to get the right size Mats. Just look up your vehicle’s make and model to find the right mats for you with that Travall fit. When appraising a vehicle, every little detail affects the final price. 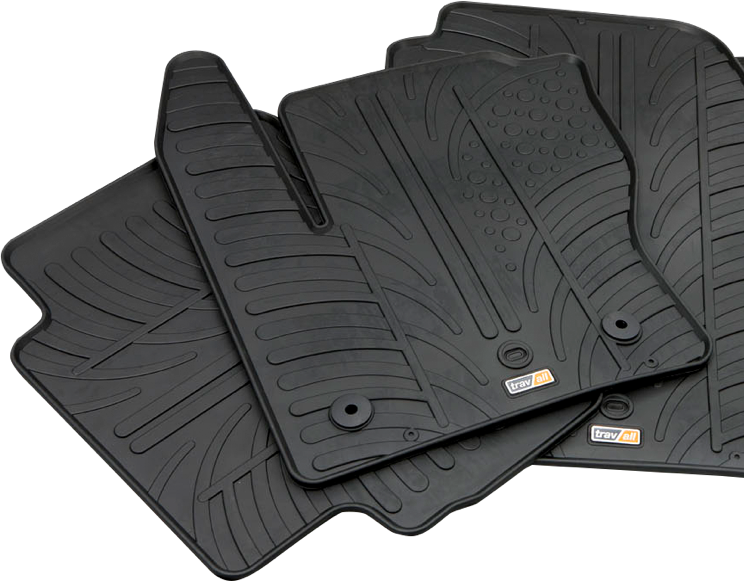 With Travall Mats in place, your vehicle won’t lose value at the expense of dirty hiking boots or spills! With Travall Mats in place, soiled floors are no longer a worry—whether you’re heading up to the mountain, down to the beach, or across state lines on a road trip of a lifetime.